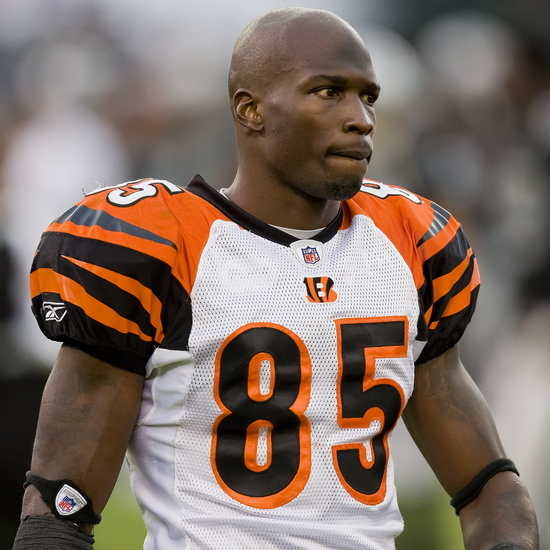 Chad Ochocinco, the man formerly known as Chad Johnson. Or is he changing it back to Johnson? Well the latest version, according to the media-mogul himself, is that he’s sticking with Ochocinco for now. Money reasons, you know. I guess Bill Belichick is feeling he needs a real coaching and locker room challenge next year. After trading for Albert Haynesworth of the Washington Redskins, the Patriots have added the Bengals outspoken receiver through trade. Like with Haynesworth, a trade consisting of low draft picks was all that the Patriots needed to get the six time Pro Bowler and 4 time All-Pro selection. A fifth round pick in 2012 and a sixth round pick in 2013. Very similar to what got them Randy Moss a few years ago. Randy Moss didn’t get the Brady-Belichick tandem a fourth Super Bowl ring, but he got them pretty damn close. Well, Tom Brady’s been missing a deep threat. The Patriots didn’t have anyone to catch over 1000 yards last year. Wes Welker led the team with 848 yards. Question is – can no. 85, a whose relationship with Bill Belichick had to be a deciding factor in the decision to bring him over from Ohio, at 33, who seems more intrigued with talking to the media, TV stuff and who knows what than with football and catching Touchdowns, be that deep option? You shouldn’t bet against the Patriots and head coach Bill, he knows what he’s doing. But maybe his ego is leading him a bit off the right course? 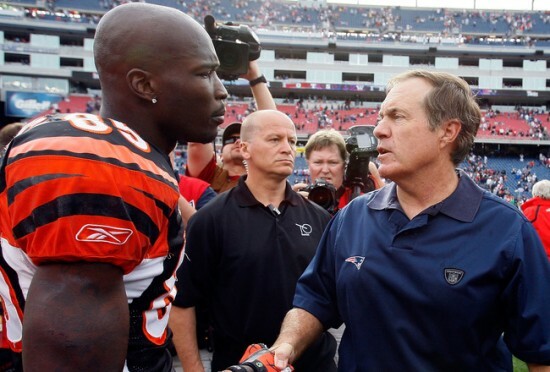 To me, it seems that Ochocinco’s best days are behind him. He was one of the best in the league about 4-5 years ago, but it’s been pretty downhill from there. Right when all the Ochocinco things began. A distracted mind won’t be helping you on the field. He did catch 9 passes for a touchdown in 2009, going over 1000 yards. But in 2010? Just over 800 yards, 4 touchdowns. A good edition to the depth, but not an Ace on your receiving core. On the full bottom of the glass, New England ain’t anything like Cincinnati. A quarterback, hall of fame bound quarterback that wants to be there and connected pretty well with Randy Moss, who is used to handling a less than elite receiving core and making the most of it, is a far cry from the situation with the Bengals. Heck, Carson Palmer wants to retire. A team the half a decade ago or so looked primed and ready to be a contender in the AFC fell a long way from the righteous path. Chad Ochocinco left at the right time, to the right team. But that doesn’t mean he’s going to be a home run signing for the New England Patriots. A very high risk move that could pay off, maybe even with a Super Bowl ring at the end of the line. But I’m not sure it was worth taking that chance on this guy.